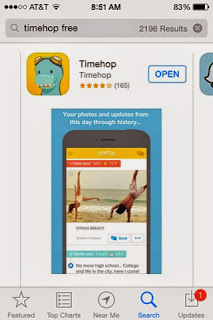 Have you heard of the Timehop app? I recently downloaded it to my iPhone and it gathers info from your Facebook posts from when you started and sends notifications of what you posted on that day a year ago, 2 years ago, or as far back as you've been on Facebook. It's really kind of fun to get a Timehop notification and then see what you've posted years past. I received one today that made be giggle. It hopped me back in time to remember a cute moment that happened this same day 2 years ago, which I had posted on Facebook back then and now Timehop has refreshed the memory. On December 23rd 2 years ago, my daughter, then 17 years old, was helping me clean the house to get ready for Christmas Eve guests. She asked if we could put on some Christmas music to get us in the holiday spirit. "Well of course," I said, "why wouldn't I?" She responded, "just making sure you're not a Christmas Stooge!" While laughing, I had to correct her, "ummm, I think you mean Scrooge!" If it weren't for my kids, I think I'd laugh half as much!!!! 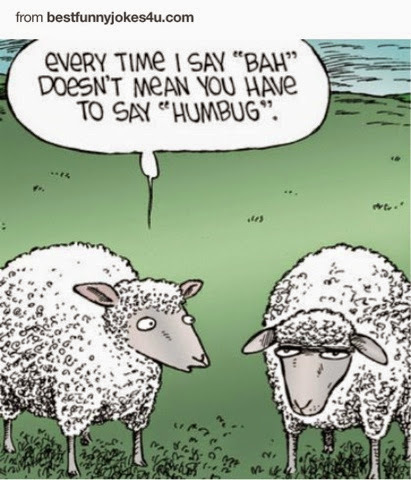 Merry Christmas and don't be a Scrooge or a Stooge this year!